Thanks to some new Heated Pools in Gloucestershire submitted every day, Swimia.com is escalating everyday the number of stored pools. Please don't hesitate to contact us should you uncover any inaccurate or incomplete details. Looking for Swimming Pools? Many of them belong to gyms or sport centers which also deliver lessons. Traveling to Gloucestershire? This can be the right spot on the net to find places to swim in Gloucestershire. Every day you happen to be not swimming you might be losing precious time to improve your skills a be a greater swimmer! No more excuses!. Please make contact with the facilities to check which activities are offering and their timetables. Are you on holiday and desire to hold fit and healthy? 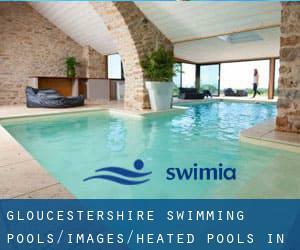 Swimia.com offers you the effortless and quickest strategy to find pool near Gloucestershire. Please check the nearest Heated Pools in Gloucestershire or Contact us to ADD IT. It's free! Whereas Cirencester is one of the six most populous cities in Gloucestershire with nearly 16.214 residents, you shouldn't miss that one if you're going to Gloucestershire. Swimming can be a outstanding idea to keep your body active during your visit to Gloucester (Gloucestershire), or even if you are a local. Swimia helps you to find your closest Swimming Pool in Gloucester. Without a shadow of a doubt, swimming in Stroud may be the ideal approach to unwind immediately after work. Take a couple of minutes to browse Swimia's catalog to find a Swimming Pool in Stroud. Holding an estimated population of 103.249, Cheltenham is one of the most important cities in Gloucestershire. Check all the Swimming Pool in Cheltenham and its surrounding area. Let us tell you a secret to switch off although you might be in Dursley: just choose a Swimming Pool in Dursley and plunge into the water! There's no a lot more powerful approach. It's difficult to visit Gloucestershire without having dropping by Churchdown (with 13.287 residents). Currently Swimia is showing you all the Pool in Churchdown along with the closest pools located in its vicinity. Updated on 2019 Tetbury Road , Cirencester , England , UNITED KINGDOM (Postal Code: GL7 1US). This sports center delivers 25 meters, 6 lanes, Non-Chlorine Sanitized, Indoors. Contact knowledge for this Swimming Pool including phone number and e-mail address are number. Updated on 2019 Oldbury Road , Tewkesbury , England , UNITED KINGDOM (Postal Code: GL20 5DN). This sports center provides 25 meters x 12.5 meters, 6 lanes, 1 meters - 2 meters depth, 1 meters - 2 meters depth, Indoors. For this Swimming Pool, only phone number is number here. Beech Avenue , Five Acres , Coleford , England , UNITED KINGDOM (Postal Code: GL16 7JT). This sports center delivers 20 meters x 7 meters, 3 lanes, Indoors. Contact knowledge for this Swimming Pool including phone number and email address are number. Tommy Taylor´s Lane , Pittville Park , Cheltenham , England , UNITED KINGDOM (Postal Code: GL50 4RN). Swimmers like you have reported 33.3 meters x 12.8 meters, 6 lanes, 1.3 meters - 2.5 meters depth, 1.3 meters - 2.5 meters depth, Indoors. Also, you will find 25 yards x 10 yards, Indoors. If you need to contact this Swimming Pool, email address and phone number are both number. Causeway Road , Cinderford , England , UNITED KINGDOM (Postal Code: GL14 2AZ). Among all the activities supplied by the center, if you are considering swimming you may take pleasure in 25 meters x 10 meters, 5 lanes, Indoors. If it is advisable to make contact with this Swimming Pool, email address and phone number are both number. Mill Lane , Brockworth , England , UNITED KINGDOM (Postal Code: GL3 4QF). This sports center offers 25 meters, 4 lanes, Indoors. Contact data for this Swimming Pool just like phone number and email address are number. Cotswold School , Station Road , Bourton - on - the - Water , England , UNITED KINGDOM (Postal Code: GL54 2BD). This sports center delivers 25 meters, 4 lanes, Indoors. Contact information for this Swimming Pool for example phone number and email address are number. Castle Street , Dursley , England , UNITED KINGDOM (Postal Code: GL11 4BS). Swimmers like you reported 25 meters x 10 meters, 3 lanes, 0.6 meters - 1.8 meters depth, 0.6 meters - 1.8 meters depth, Indoors. Phone number and e-mail address are number for this Swimming Pool. Updated on 2019 Cidermill Lane , Chipping Campden , England , UNITED KINGDOM (Postal Code: GL55 6HU). This sports center offers 20 meters x 10 meters, 0.9 meters - 1.7 meters depth, 0.9 meters - 1.7 meters depth, Indoors. Contact details for this Swimming Pool just like phone number and email address are number. St. Oswalds Way , Gloucester , England , UNITED KINGDOM (Postal Code: GL1 2TF). Among all the activities supplied by the center, for anybody who is interested in swimming you are going to get pleasure from 20 meters x 8 meters, 2 meters depth, 2 meters depth, Indoors. If you need to make contact with this Swimming Pool, email address and phone number are both number. Church Road , Lydney , England , UNITED KINGDOM (Postal Code: GL15 5DZ). This sports center gives 25 meters x 10 meters, 5 lanes, Indoors. Contact data for this Swimming Pool such as phone number and email address are number. Centre Severn , Barnwood , Gloucester , England , UNITED KINGDOM (Postal Code: GL4 3HR). This sports center delivers 25 meters x 10 meters, Indoors. For this Swimming Pool, only phone number is number here. Unit 16 , The Brewery , Henrietta Street , Cheltenham , England , UNITED KINGDOM (Postal Code: GL50 4FA). Among all the activities supplied by the center, should you be considering swimming you might get pleasure from 20 meters x 10 meters, 4 lanes, 1.2 meters depth, 1.2 meters depth, Indoors. If you should make contact with this Swimming Pool, email address and phone number are both number. Stratford Rd. , Stroud , England , UNITED KINGDOM (Postal Code: GL5 4AF). Among all the activities offered by the center, if you are enthusiastic about swimming you may take pleasure in 25 meters, 4 lanes, Indoors. If you'll want to contact this Swimming Pool, email address and phone number are both number. Updated on 2019 Eastgate Street and Bruton Way , Gloucester , England , UNITED KINGDOM (Postal Code: GL1 1DT). Swimmers like you have reported 25 meters, 8 lanes, adjustable depth, Indoors. Also, you will find 25 meters, 4 lanes, 0.9 meters - 1.8 meters depth, 0.9 meters - 1.8 meters depth, Indoors. If you need to contact this Swimming Pool, email address and phone number are both number.